Do you love making vision boards, but never pay them much attention after January passes? 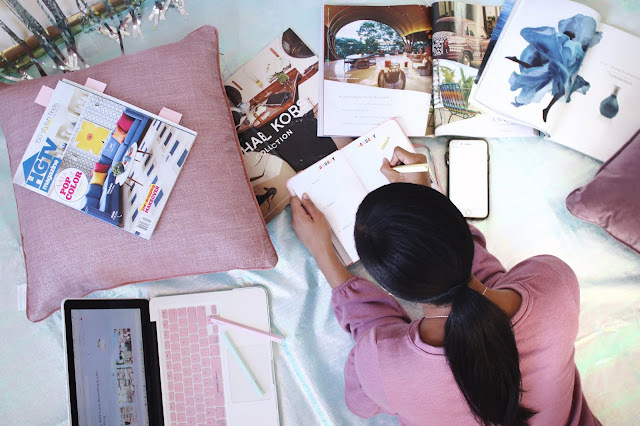 Do you have a hard time actually spending time visualizing what’s on your vision board because you’re busy and on the go? If you answered yes, then it may be time to revamp your way of vision boarding and manifesting goals by giving a digital vision board a try. My friends and I have been having vision board parties since 2010. They are such a great tool for goal setting and practicing visualization. Over time I found that I would often make them and never revisit them again so I decided to start making digital vision boards that I could take with me. If you’re more hands on and love a good craft you may opt to make a physical board. Even if you go this route making your board digital can be as easy as taking a photo to keep on your phone. If you want to go fully digital there are lots of fun ways you can do this. I’ll share some different ways you can try and some tips to get the most out of your digital vision board this year. There are two ways you can go about making a digital vision board and I'll go ever each step by step. The first is by using a platform like Instagram, Pinterest, or We Heart It. The second is by using software like Microsoft Word or PowerPoint. I’ll be covering both so pick the one that resonates with you most and let’s get started. Make a list of you themes/goals for the year. 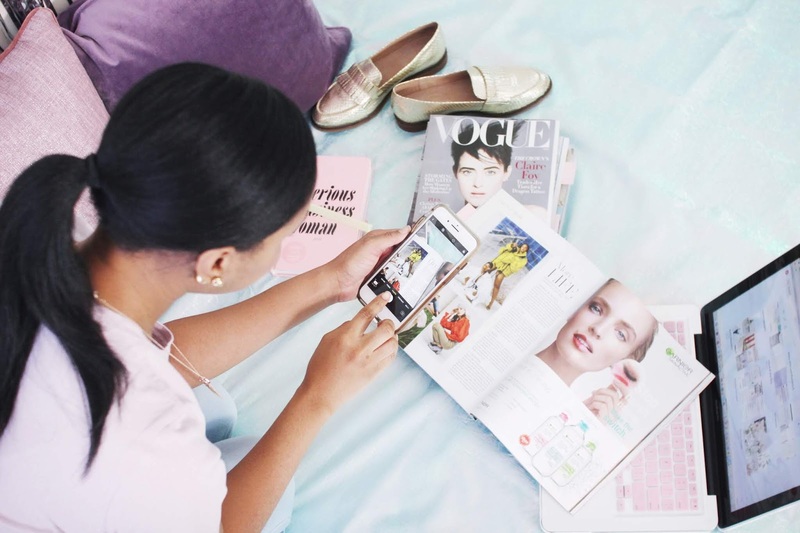 Choose the platform you wish to use such as Pinterest, We Heart It, or Instagram. If you choose Pinterest you have the option of making a secret board by selecting private, so remember to select that option if you don’t want this board visible to everyone. Now take some time to search for keywords that represent your goals or what you would like to manifest in 2019. For example, you may search for the phrase "Paris Trip." Once you find photos that really represent what you are trying to manifest add it to your board or collection. Tip: You’ll know it’s the right picture if you feel happy or excited when you see it. Once you’ve completed your board schedule 5-10 minutes in your phone to pull out your phone and use you vision board to visualize your goals for the year. Make a list of your themes/goals for the year. Open and name a new document (i.e – Vision Board 2019). Search for pictures online (Instagram, Google, Pinterest, We Heart It). Download and save them. You can also take pictures/scan photos from magazines. Decide where each photo will be located in your document. You can choose to sort by theme or dedicate a page or slide to related goals/photos. Paste your photos into your new document. When you’re happy with the placement of your photos, save your file and email it to yourself. If you feel like you may still not spend 5 to 10 minutes looking at your vision board, consider saving it as your phone’s wallpaper. This way you see it whenever you pick up your phone. So what do you think about digital vision boards? I hope this simple step by step guide will help you to manifest all of your wildest goals and dreams this year! Remember to focus on the good, give yourself grace, and keep going no matter what. I'll be posting one more post that will help you get the most out of your vision board no matter what kind you make. 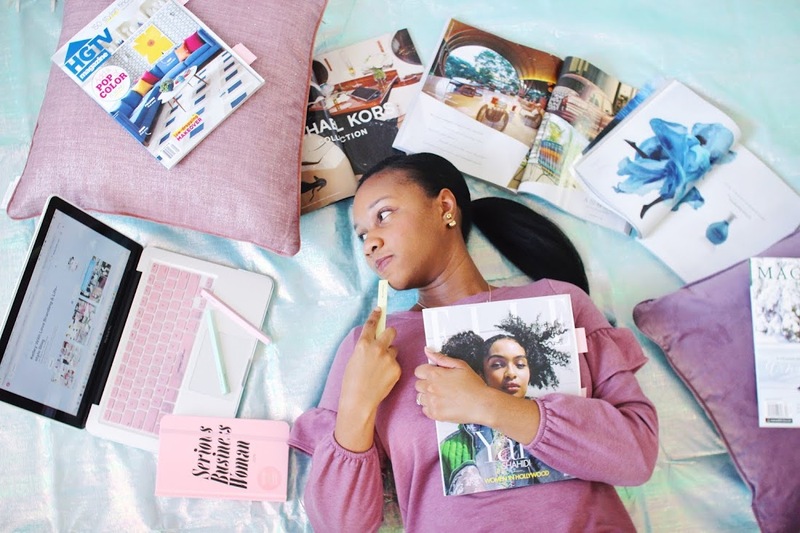 Check out How to Make Your Vision Board an Interactive Experience.